Addressing the 1.4 million vehicle recall for a problem cited in 13 deaths will likely be the first big test for new General Motors CEO Mary Barra. And in a letter to employees today, she made clear that she's been on it — ever since she learned of the problem a few weeks ago. Who sees the problem here? 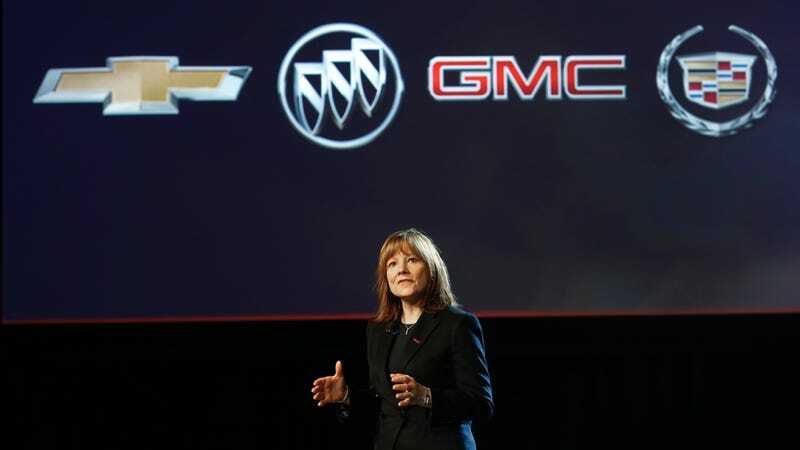 "When this was brought to my team a few weeks ago, we acted without hesitation to go well beyond the decision by the technical experts," Barra said in an email to employees that was sent to reporters by GM. As ex-TTAC editor Ed Niedermeyer today noted on Twitter, the fact that the CEO of GM — and its former vice president of global manufacturing engineering — didn't know about a problem that the company knew about and ignored for 10 years is kind of mind-blowing. I'm certainly not implying she knew about it, as there is zero evidence of that; I'm just surprised she didn't and still flabbergasted that no one else in the organization acted on it in the decade they had a chance to do so. This is sometimes getting spun as post-bankruptcy "new GM" dealing with the problems of "old GM," but the new company has been around since 2009. It doesn't bode well for the new one at all that the ignition switch problem with the Cobalt and other cars is just now coming to light. This company had multiple chances since 2004 to do something about this problem, and that includes after their bailout and reorganization. The News also reported that GM has hired an outside law firm to "conduct a full review of the issue," but the General refuses to give the name of that firm. How can we expect this process to be transparent then? Barra has a long way to go to prove that her GM is different from the old one. So far, things aren't looking so great.